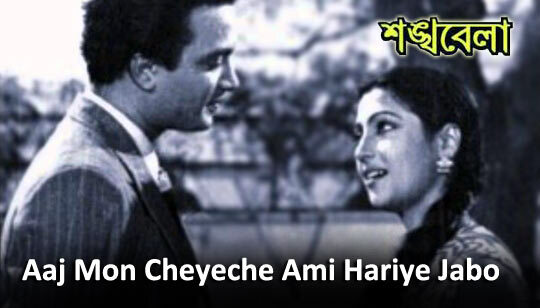 Aaj Mon Cheyeche Ami Hariye Jabo Lyrics In Bangla. Sung by Lata Mangeshkar from Shankhabela bengali Movie. Bangla Song Lyrics written by Pulak Banerjee And Music composed by Sudhin Dasgupta. Starring: Uttam Kumar And Madhabi Mukherjee.